Santa Cruz advanced facials with MICRO-CURRENT to lift, tone, and tighten skin and facial muscles. Simply put, Gayle uses the "BT" products with ATP with all of the Bio-Therapeutic tools listed above in a full 1 hour 45 minute facial treatment. Her new tools with ultrasound, microcurrent for mini lifts and ionization provide the ultimate in immediate firmer, youthful, healthy “resultz” for all skin types. Since one picture says 1,000 words, here are some images with brief descriptions so you can be assured this is an extremely beneficial, effective yet safe and positive experience for her clients. Also, be sure to read some of the “testimonials” at the end and book your appointment with Gayle for your BT Facial (a series of 4 medically proven to deliver the best results). (Left) The BT-Analyze™ is a moisture analyzation meter that utilizes bio electric impedance technology with a newly designed and engineered skin membrane sensor. When placed on the skin, a low level of current is utilized to measure the conductivity, resistance, and the time in which it takes to obtain the reading. These measurements are calculated against an internal database of statistics to determine the exact final numerical result. 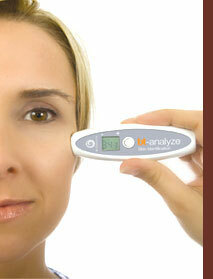 The BT-Analyze™ has been proven to assist the skin therapist (Gayle) in gaining factual bio-marker measurements for each of her clients in multiple areas of the face, neck, and décolleté. These measurements, in conjunction with Gayle’s visual and physical examination of the skin, greatly refines her ability to prescribe specific products and services. Also, Gayle’s 20+ years in skincare (to include her work experience in medical offices) used in concert with this type of technology provides the ultimate in services for her clients. (Right) The BT-Micro™ is the lastest rage in hand held professional technology and combines ultrasonic peeling with microcurrent product penetration capabilities. BT-Micro™ ultrasonic exfoliation works with high speed (24,000Hz) oscilliations of the flat metal probe and BT-Ceuticals "Cleanse" and "Exfoliate" which greatly enhances the natural exfoliation process of the stratum corneum. 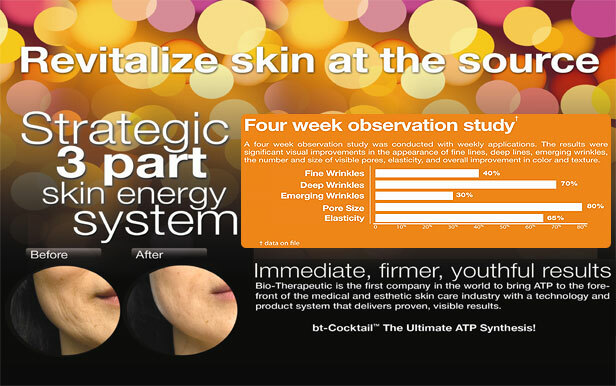 The results are amazingly clear and smooth skin that is ready to accept strategic topical energy. Gayle has been using the BT E-2000 Toning Machine for over 18 years. She is considered a professional role model with her experience in Toning procedures and results. 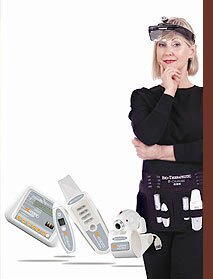 The new BT tools that she has now incorporated with her Toning Protocol gives the client a fabulous experience. All ages with all skin types can receive measureable positive visual improvements. Medical studies prove a series of 4 or more treatments within a 6 week timeframe deliver the most desired outcome. “I’m new to Santa Cruz area and very happy & lucky that a co-worker referred me to Gayle at Body Resultz for my skin care needs. My first facial with Gayle was so fabulous I just wanted the exact same facial on my second appointment but she described the BT Facial and said it would be highly beneficial for my skin condition. WOW! It was wonderful! Not only did it get rid of my breakout areas, my skin looked and felt smooth, tight and somehow “lifted”. From now on, I will get a series of 4 BT Facials, then one of Gayle’s “Euro Plus, Plus Facials, then another series of 4 BT Facials & on & on.